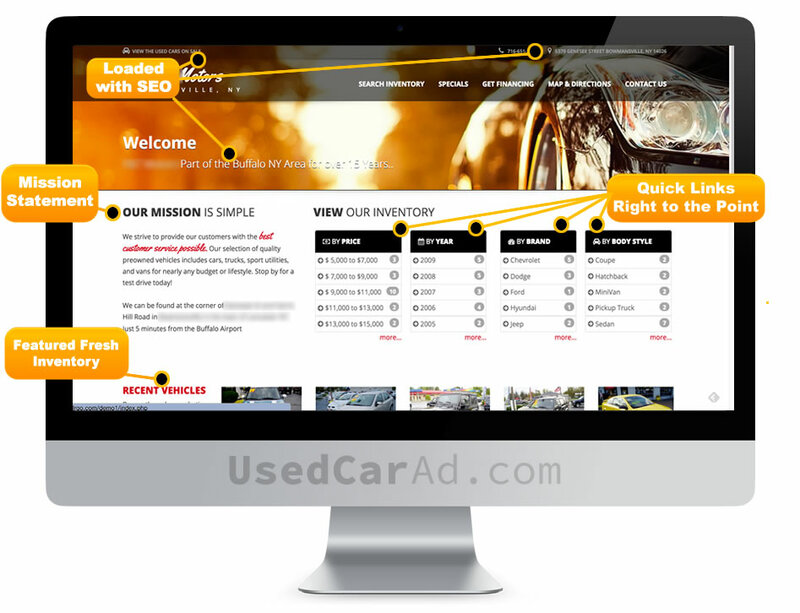 Advertising your cars on UsedCarAD.com maybe the fastest and easiest way to sell used cars online! "I sold two Cars last week... This site is awesome " - John from Niagara Falls, NY. 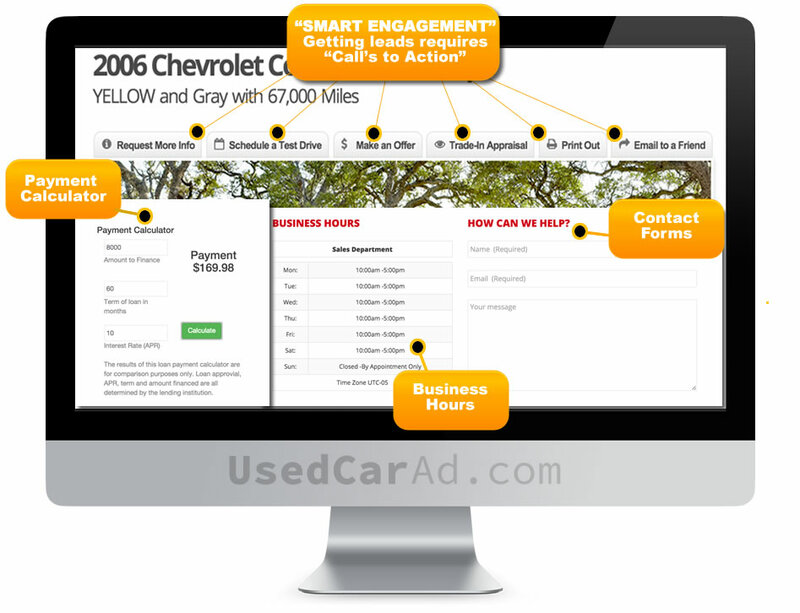 With UsedCarAD.com your lead volume will typically increase by 50-60% because we include over ten separate calls-to-action. Customers will submit their info if asked enough, it's that simple. 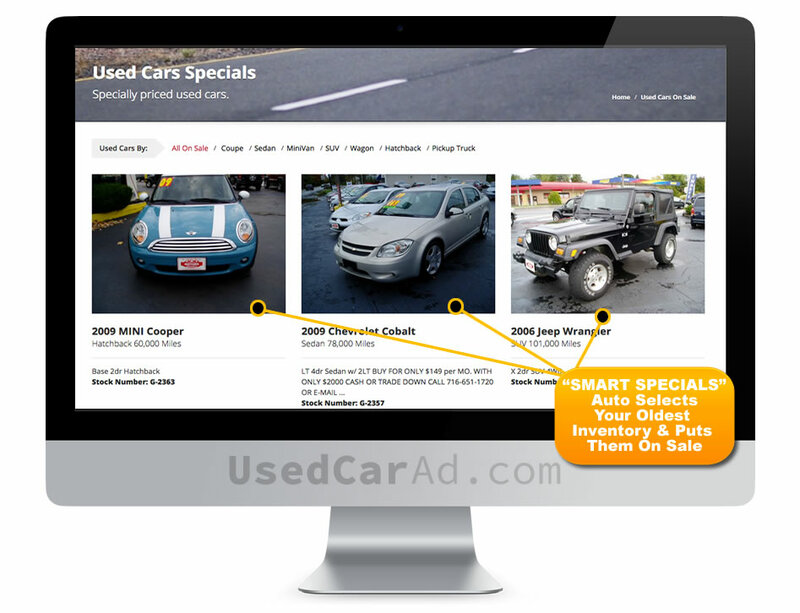 We can connect to your existing inventory tool, such as vAuto, CarsforSale.com, Redbumper and many more. - Or you can use our state of the art inventory manager included at no additional charge. Having a mobile-optimized website is critical for your dealership to maintain a powerful digital presence.. 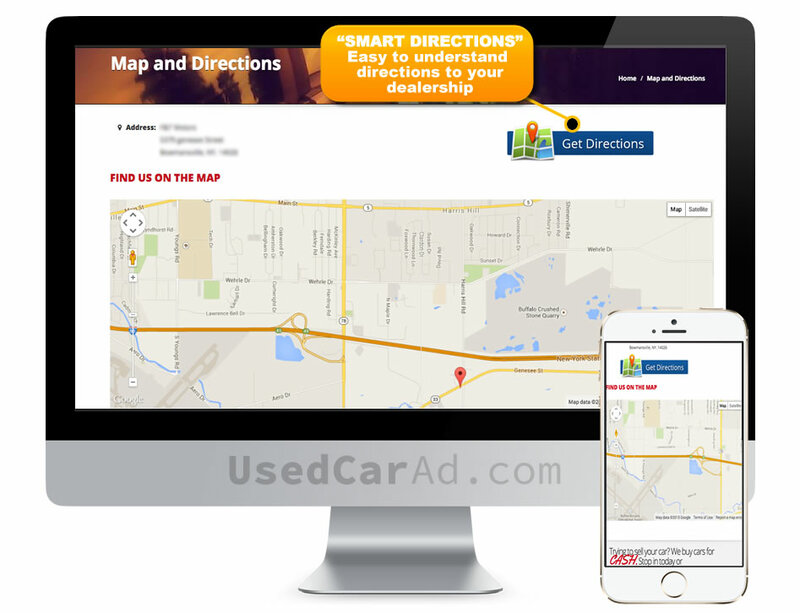 Mobile devices represent more than 50% of all traffic so it makes sense to have a UsedCarAD.com Responsive mobile enhanced website. The best part... it's included when you subscribe. Putting your dealership at the top of the search engine results is our #1 goal. 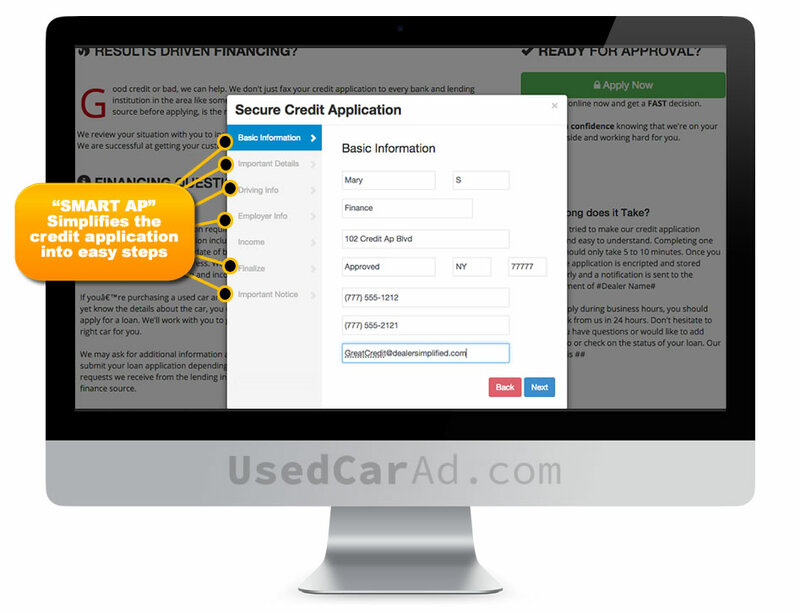 "Your dealership will be found if you have a UsedCarAD.com website." Whether a buyer Google's, Bing's, DuckDuckGo's, yahoo's or any other search method on the web. The best part is our team takes care of it all. To enhance your listings, add PDF's of a repair order, condition report, window sticker or anything that helps you sell the car. A subscription to UsedCarAD. 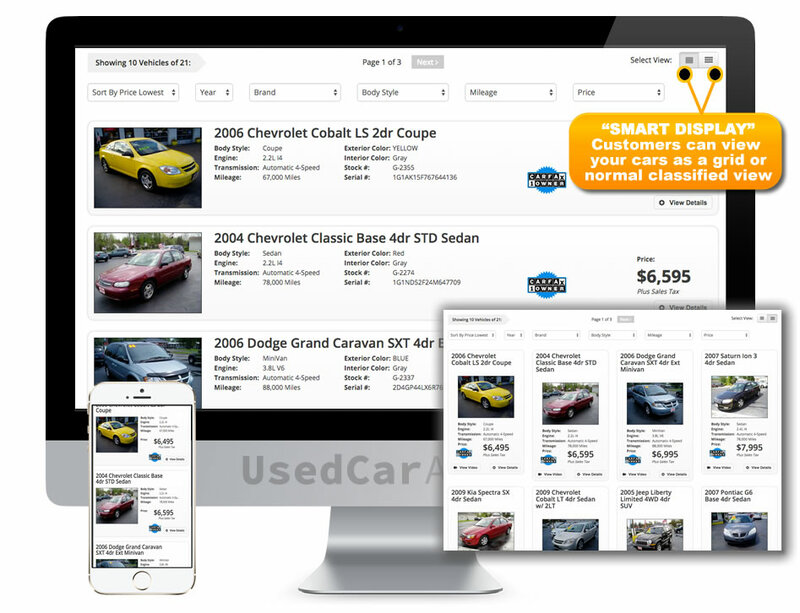 allows you to add as many vehicles you want, including cars, trucks, motor-homes, ATVs etc.